Just last week, three shootings occurred in the United States. Even before the latest atrocities, I had begun to wonder why America — the country I was told was a land of progress and peace — had turned into the Wild West. Growing up in one of the many countries that the US governed back in time, Filipino culture always put America up on a pedestal. Yet there it was, another dot in their population deciding to shoot down other dots. As a confused Asian, the timing of Childish Gambino’s release of the music video for This is America couldn’t be more appropriate. The song is the latest release by the artiste whose real name is Donald Glover. But let’s stick to his artiste name. Gambino’s song (and the video) has generated a lot of buzz online. 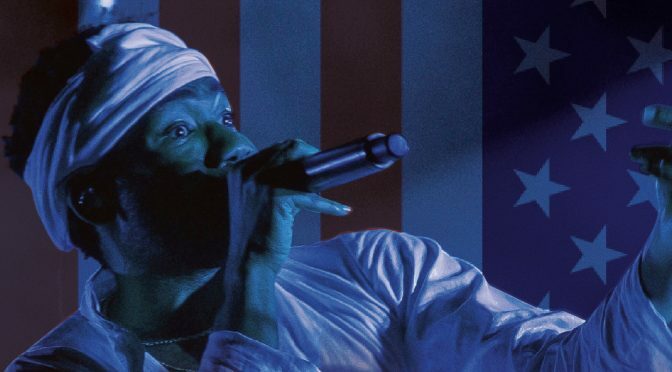 This is America is laden with symbolism and racial undertones as he sings about the current state of the American Dream. But Gambino isn’t the first one to release a cryptic song. In 1971, Don McLean sung American Pie, and left it to the audience to interpret. Experts say McLean talks about the decline of music and Americana. That song’s not the only one. In 1977, The Eagles’ made their mark by talking about Hollywood hedonism in Hotel California (yet, despite this explanation by Don Henley, many still believe the song is an allegory to hell). While both those songs generated intrigue, This is America scandalises the audience. The first few seconds into the music video, someone is shot; his body dragged away; while the gun used to kill him is laid on a soft, red cloth in an almost cathedral-like manner. I recently watched a video in which young adults were shown the music video and given the chance to interpret it. They all agreed that it was telling of how the United States values firearms more than the lives of citizens. One doesn’t even need to look far into America’s history to hear politicos say that “the problem is not guns, it’s ”. As the song goes on, Gambino also shows America’s obsession with television. As he sings and dances in the middle of an abandoned warehouse, a man jumps to his death, police chase people of colour, death strides on horseback, and then a 17-second silence that many interpret as a tribute to the 17 victims of shooting in Parkland, Florida. But nobody really sees these things because Gambino and his troupe dance in the foreground of the pandemonium. It reminds me of how we might enjoy watching black celebrities on say, the red carpet, but only a fraction of us mourn the ones who get shot by the police for allegedly holding a gun. Or how Trump decries football players who kneel during the anthem but at the same time, calls white supremacist protestors “very fine people”. Through the clip, Gambino is both proud and vulnerable as he performs shirtless. The audience has to see him for who he is: a person of colour. He embraces the old racial epithet of Jim Crow— a character used to poke fun of a person of colour back in the day, and uses it as his armour, even using Crow’s infamous poses. In this act, Gambino embraces the hardship his kin faces daily, telling the audience that they can never again use Jim Crow to insult persons of colour anymore. But despite this the music video ends with him running away from a bunch of Caucasians visibly scared, a reflection of the reality their race faces today.